08/07/2007 / Be the first to comment! / Be the first to like this! Uplifting trance & deep melodic trance, including a few promo tracks from INSPIRED DIGITAL & Trance4M8 labels. Back in 2005, Jordan Waeles started mixing uplifting trance on the air of NRJ Belgium (national FM station), at first filling in for other unavailable residents of Extravadance, then with a monthly slot on his own. Trance Mutation Broadcast was born. Across the years, the show has been syndicated on Saffier/LRK (Dutch local FM stations) and many more online and FM stations. 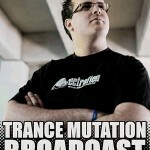 Eventually, in 2009, Jordan moved Trance Mutation Broadcast to the biggest online trance radio station, Digitally Imported, in a brand-new two-hour format. This tactical move gave Jordan the opportunity to feature amazing guests such as Suzy Solar, Orla Feeney, Airwave, the Immoral Monkeys, Ferry Tayle, and many, many more headliners and upcoming trance DJ's and producers. Read more about Trance Mutation Broadcast here.